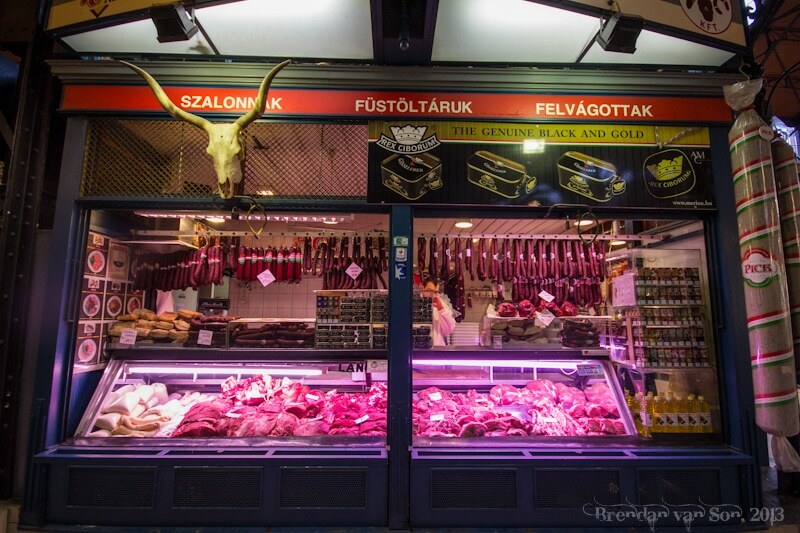 If you’ve ever been to the city, you’ll probably note that most of these images from Budapest were all shot within about a 2 km radius. I swear that was not to any sort of laziness of my own. The main problem lied in the fact that there was just too many beautiful things to shoot in this part of Budapest for me to wander too much. I only had 4 nights in Budapest. One of those evenings we spent at the Szechenyi Thermal Baths, and another caving in the Buda Hills. Thus, I had to concentrate my two nights of shooting around what I thought were the most interesting parts of the city. 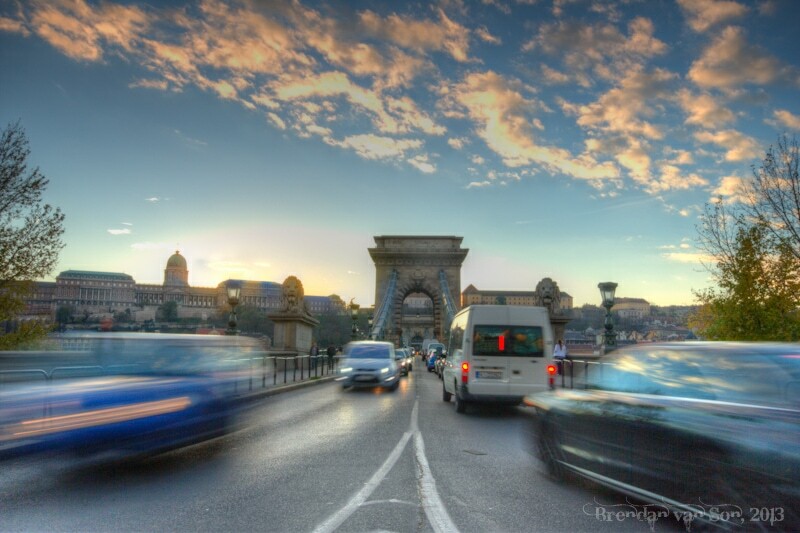 I was drawn, for obvious reasons, to both the parliament buildings and the chain bridge. In regards to human activity, my main focus was the central market. 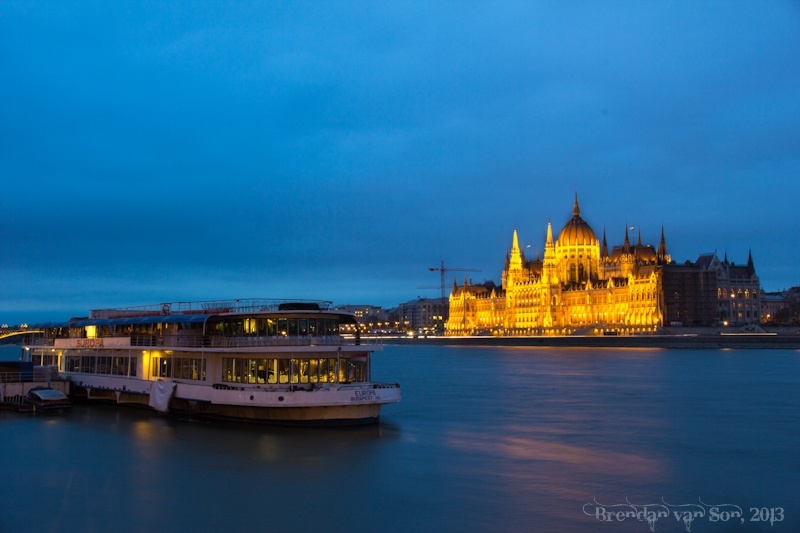 Anyways, I hope you like these photos of Budapest and be sure to check out the image captions as well for a little bit of description. 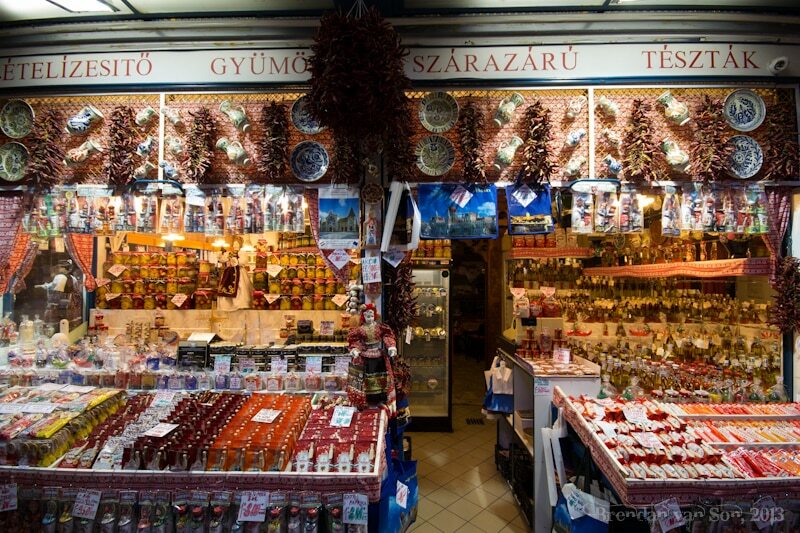 Another shot from inside the market. 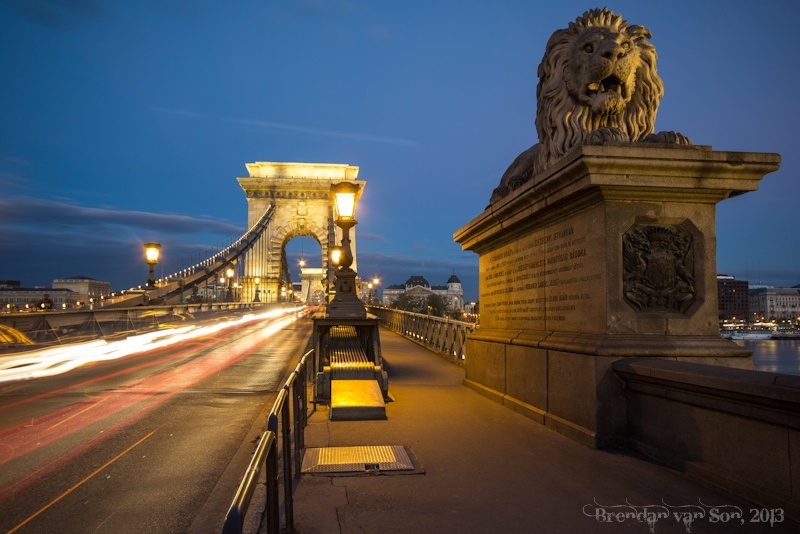 As soon as I saw the lion on the edge of the chain bridge I knew I wanted to photograph it. I wanted to shoot it in the blue light, and with this photo I did. I’d be lying if I said the Central Market wasn’t a bit touristy, but it was definitely cool. Aside from the tourist shops, there were lots of interesting shops like this one. 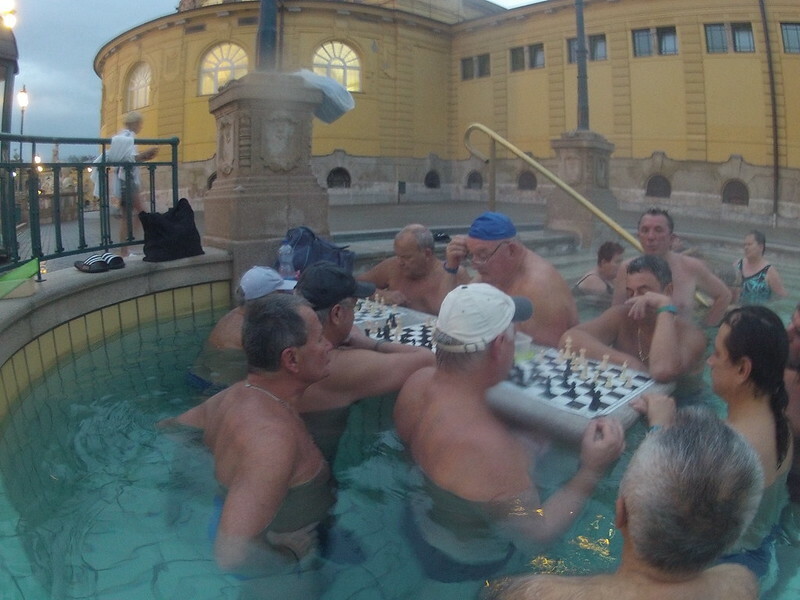 Fancy some chess with these dudes? 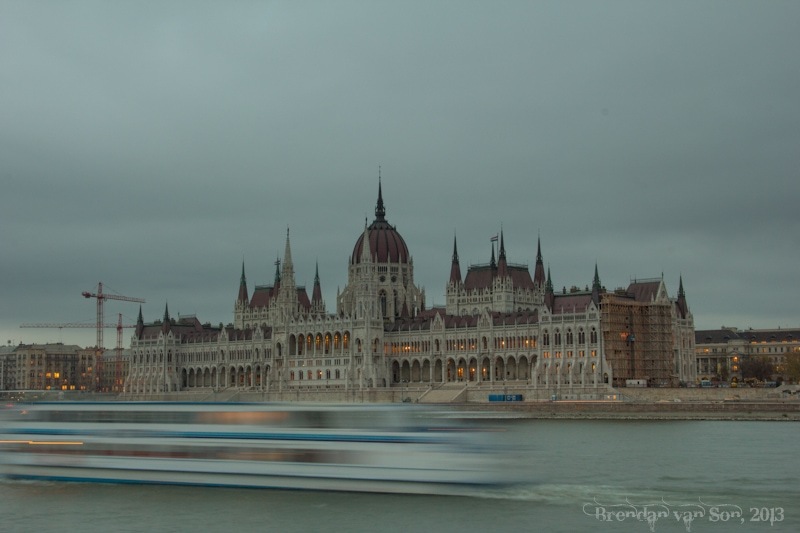 A daytime shot of Budapest Parliament with a tourist boat in motion in front of it. 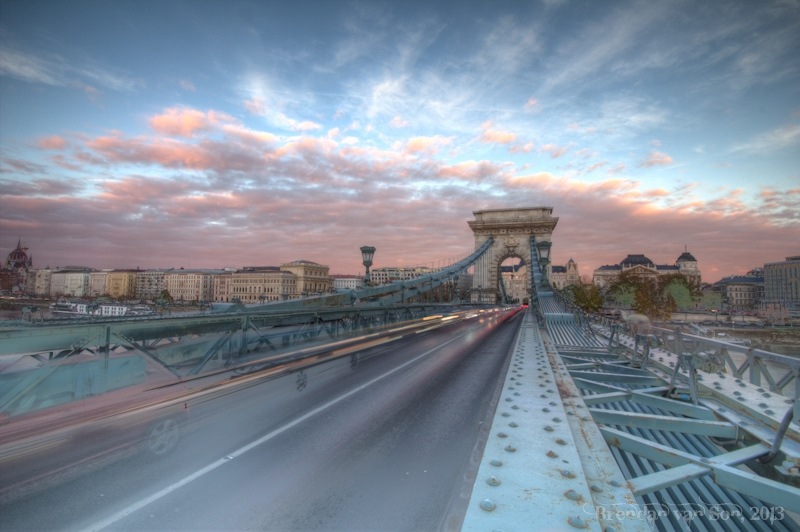 as I like Budapest very much I totally adore your photos, but I guess the chain bridge photos in HDR are a little bit over the top for me. They are awesome, especially the first, but looking totally unreal to me.